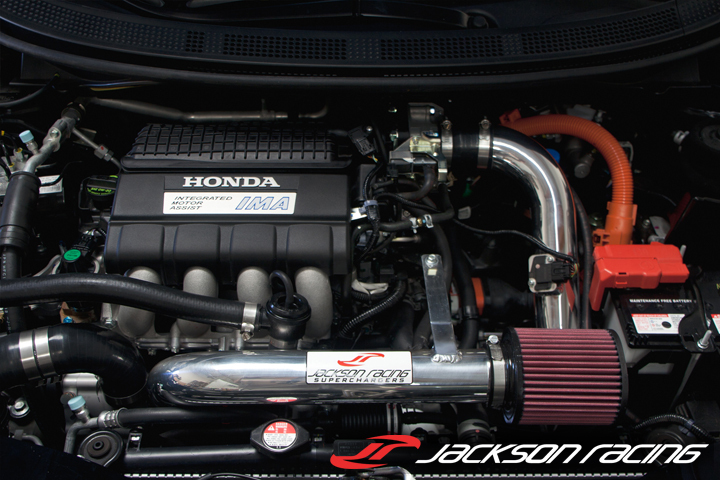 Shawn Church at Temple of VTEC got behind the wheel of our Jackson Racing CR-Z after the supercharger system release back in August. 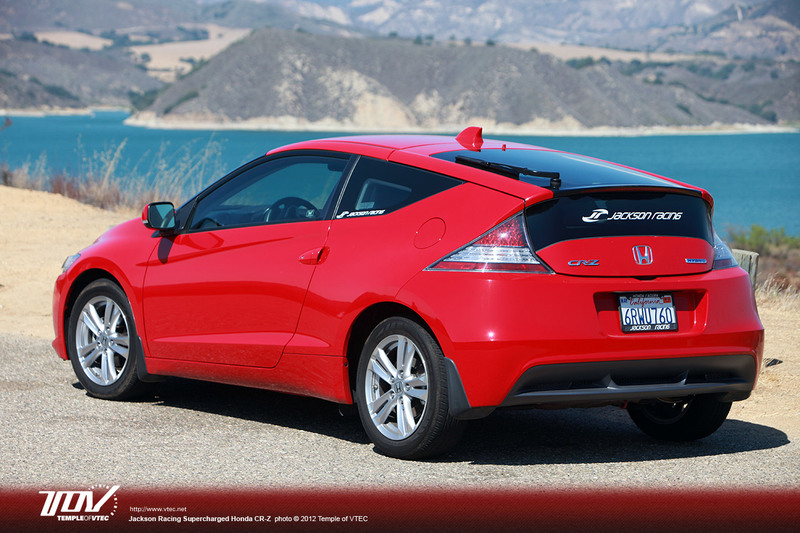 After a long weekend with the CR-Z, what was his opinion? 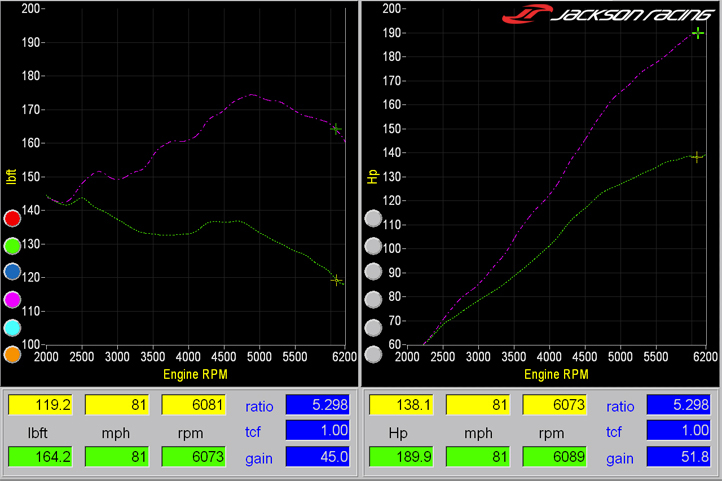 …In the canyons, the JR CR-Z powertrain continues to shine. Smooth predictable power means that you can modulate power to limit wheelspin from the inside tire (no LSD) when powering out of corners. Heel-toe downshifting was intuitive and simple (again, no throttle lag and Honda doesn’t interfere with brake/throttle overlap – yet). The Rotrex blower makes its presence known audibly, but it speaks quietly instead of screaming in your ear. And when the canyons turned into city traffic, the JR kit was nearly transparent, except for the light breathy sound of the supercharger’s recirculation valve when lifting off the throttle at low speeds. Oh and the occasional chirp of the front tires as boost builds in first gear when you give it full throttle to execute a pass. In fact, the factory tires, with 25k miles and a couple of track days, were probably the biggest impediment to speed with the JR kit. From a low speed roll, mashing the throttle in first gear would result in copious wheelspin starting at around 4500 rpm if you didn’t modulate the throttle. With fresher (or simply _better_ ) tires, acceleration at low speeds would be dramatically improved. And speaking of acceleration, with 250 lbs of driver and gear, our best acceleration time to 60 mph as recorded by our Racelogic Driftbox was 6.9 seconds starting with a full 8 bars of charge. Our average time was around 7.2 seconds with 6 or 7 bars. With a better driver (I’m definitely not the fastest drag racer at TOV) and better tires, I think consistent 6.5 second 0-60 times are quite reachable. And while we didn’t have space to run a full 1/4 mile, I would predict a 14.9-15.2 second elapsed time with a 92-94 mph trap speed. Yorba Linda, California (December 1, 2012) – World-leading Supercharger experts Jackson Racing are proud to announce their next generation supercharger system for the Honda CR-Z has been granted a California Air Resources Board Executive Order and is legal for use in pollution controlled automobiles in the state of California. “We’ve worked very hard this past year to develop an bolt-on supercharger system for what is one of the world’s cleanest PZEV vehicles. Our supercharger system includes Hondata ECU calibration and larger fuel injectors, and we are able to pass the strict AT-PZEV emissions standard. It was a challenge, but it is great to have a mean and clean package. 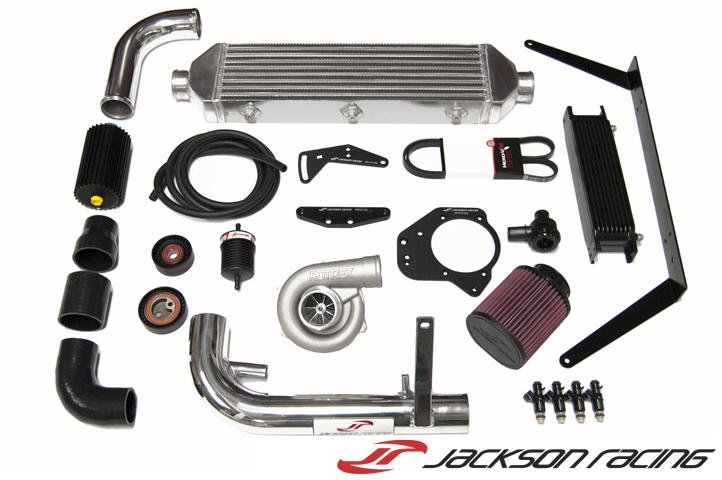 This is the future of performance tuning!” says Oscar Jackson Sr., President and Chief Engineer of Jackson Racing. The CARB EO# D-700 covers 2011-2012 “Factory Tuned” and “FlashPro Tuner” CR-Z supercharger systems for both 6-Speed Manual and CVT models.